BCDB Rating: 4.8/5 Stars from 17 users. This page has been viewed 69 times this month, and 4578 times total. Distributed by: RKO Radio Pictures, Inc. Cartoon Characters: Mickey Mouse, Donald Duck, Goofy. Voice Actors: Walt Disney, Clarence 'Ducky' Nash, Pinto Colvig. Animated By Ed Love, Louie Schmitt, Johnny Cannon, Don Patterson, Clyde Geronimi, Tom Palmer, Frenchy de Tremaudan, Cy Young. Originally Released on May 06, 1938. A scene where Goofy sticks his fork in a light socket and he gets electrocuted is cut from Disney airings. You can watch this cartoon today on your computer. Just click below to start viewing "Mickey's Trailer" online now. Do you have anything to add to this page? Have we made any mistakes... or do you have any additional information about Mickey's Trailer? If so, we would love to hear from you. Please send us a quick note with your additions or corrections to this page, and we will make the corrections as soon as possible! Below are comments about this cartoon submitted by people who have seen this show. Take a look and see what others have said about Mickey's Trailer. We want to know what you think, too!! Feel free to share your own opinion- we do want to hear from you! You can add your own comments here. 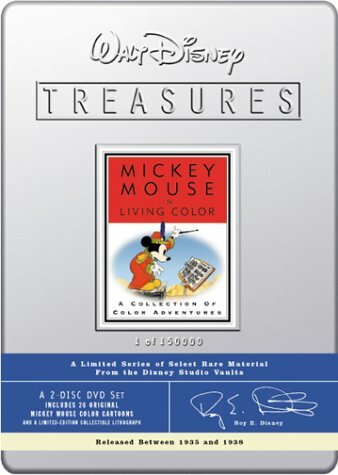 Mickey's Trailer by Big Cartoon DataBase is licensed under a Creative Commons Attribution-NonCommercial-ShareAlike 4.0 International License.